Short Information: Madhya Pradesh Professional Examination Board (MPPEB) Are Recently Uploaded Result for The Admission of Pre Ayurved, Homepathy, Unani, Naturopathy and Yoga Test Admission (PAHUNT) Examination 2017. Those Candidates are Interested to the Following Admission in PAHUNT and Have All Eligibility Criteria Can Read the Full Notification and Download Result. Pay the Examination Fee Through Cash at MP Online Authorised KIOSK Or Debit Card / Credit Card / Net Banking / Mobile Wallet Fee Mode. Candidates Passed 10+2 (Intermediate) Exam with Physics, Chemistry, Biology (PCB) Stream with Minimum 50% Marks. 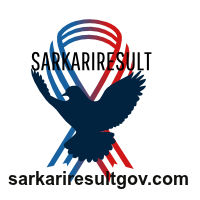 Registered Can Download Result now.